What goes up must come down, and the Telegraph climb combined with Anasazi’s Descent is a perfect balance between effort and momentum. Combine the Telegraph climb with the Meadow Loop and Stacie’s for a quick, mellow ride punctuated by the hill climb, or use it as a gateway to the southern trail system for a longer loop. The cardio-challenge of a long climb is the big attraction on Telegraph, though it also insures that the hill doesn’t get over-crowded. Providing views of the gulch and foothills around Durango as well as access to the southern trail network of Big Canyon, Cowboy, Crites, Sail Barn, and Carbon Junction make it a great part of any ride. After the burn has left your legs, you’ll remember the winding trail through Gamble Oak, the view from the top, and your final attempts on the last steep uphill. However, nothing compares to the twisting, brake-crunching fun you’ll have on the downhill! Since the Telegraph climb is the high point in the trail system, the downhill following is as much a part of the experience as the uphill. Whether you prefer to navigate the technical terrain park known as Anasazi’s Descent or to bomb down the winding Crites Connect, adrenaline junkies will be rewarded for their climb. Those looking to improve their climbing chops will love this trail. Though it is not especially technical, it requires the effort and concentration afforded to any extended climb. The final pitch, however, is the real challenge. Not so long as to make it impossible, it is steeper, narrower, and trickier than anything previously encountered. Take a few runs at it! This section is a great spot to improve technique, and it cannot fail to get your heart rate up! Though most downhill riders find a way around climbing, Telegraph doesn’t allow shortcuts. The descents, however, are absolutely worth the effort, and downhill riders will love it. The main trailhead for Horse Gulch is located at the eastern most end of East 3rd Street. 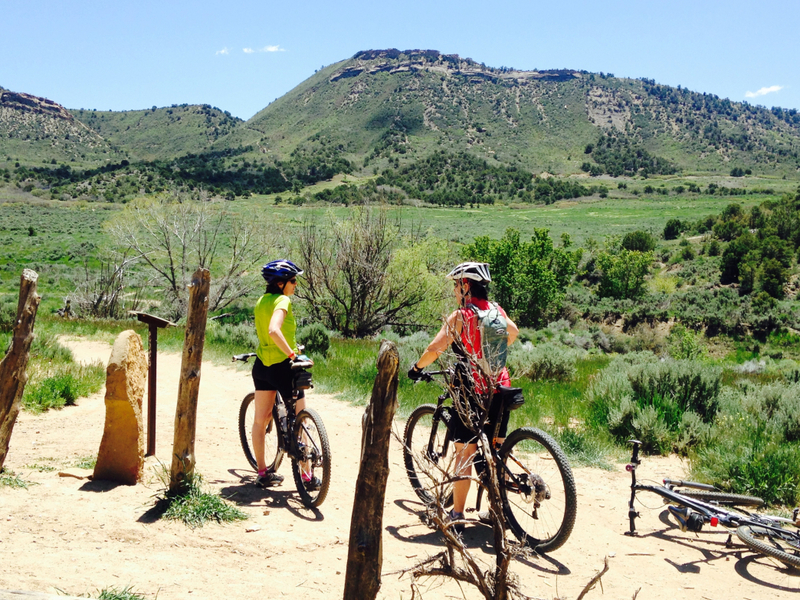 Parking for the trail is located behind the Horse Gulch Medical building and does not require fees or permits. The Horse Gulch area is dog friendly, but beware of bikers, hikers, and other dogs when navigating the trail system.